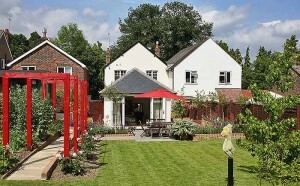 You are here: Home / Latest News / AppArt’s all creatures great and small. 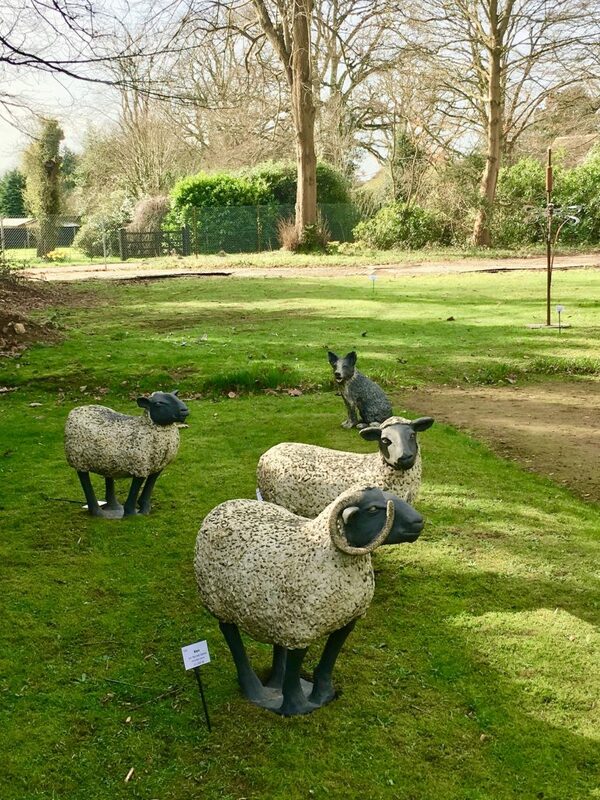 Some of the pupils at Prior’s Field School left their classrooms this week to explore the newly installed AppArt Sculpture Trail in their Gertrude Jekyll inspired gardens. 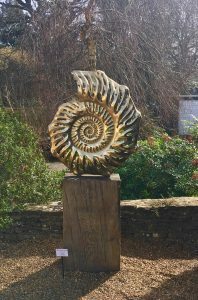 Over one hundred artworks had been set up over the weekend and the girls were challenged to pick their favourite sculpture and use this as a stimulus for a piece of creative writing. 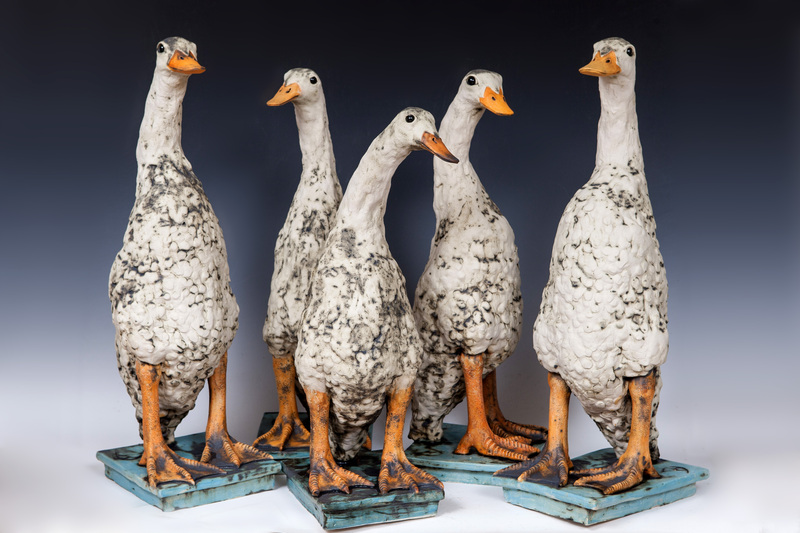 They had lots to choose from and many homed in on the various creature’s great and small. 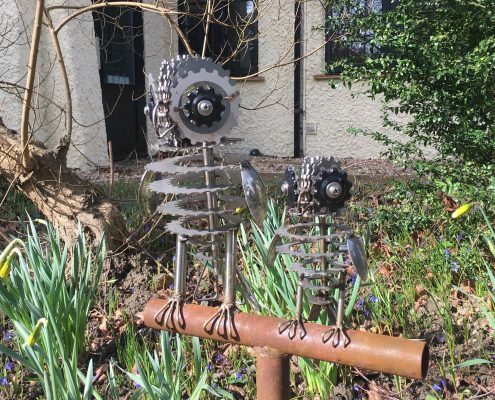 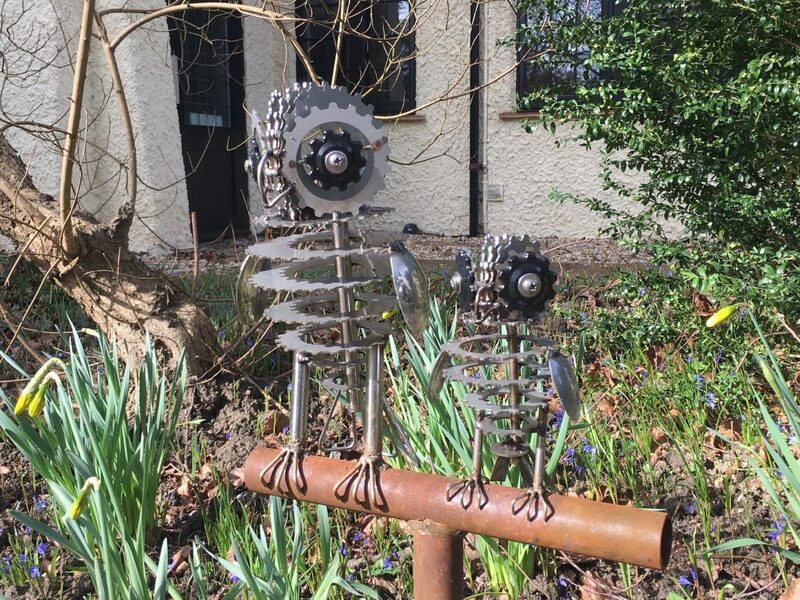 Daren Greenhow’s Owls and Eagles made out of metal cogs caught their eye. 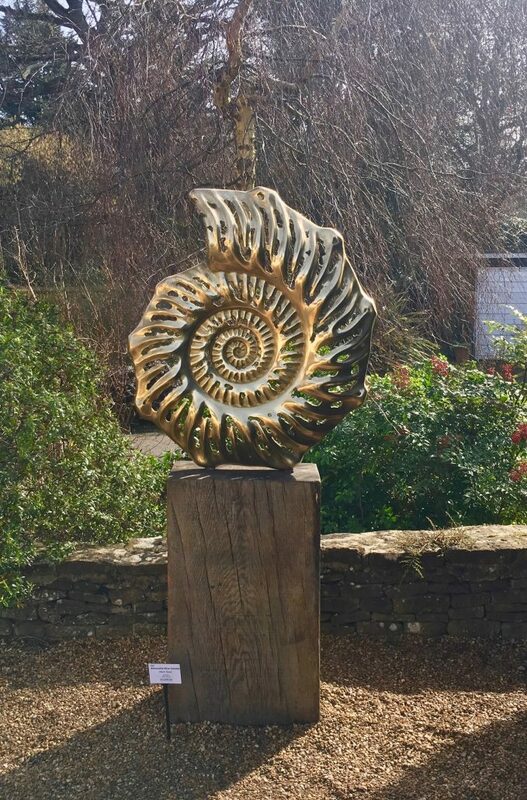 Mark Read’s golden giant ammonite basked in the morning sunlight and was a stunning piece that they could reflect on. 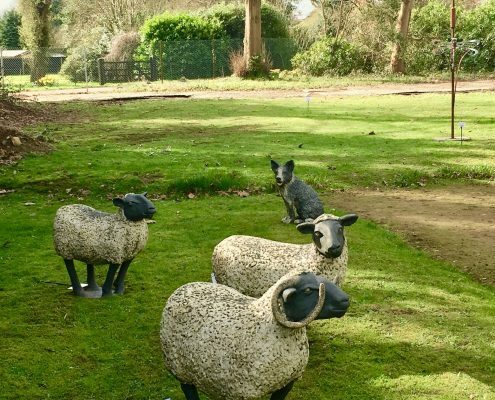 Gilbert Whyman’s Lion and trio of sheep made out of scrap materials amused whilst Jon Barrett Danes small flock of ceramic sheep were kept in line by Raven a really attractive and realistic sheep dog. 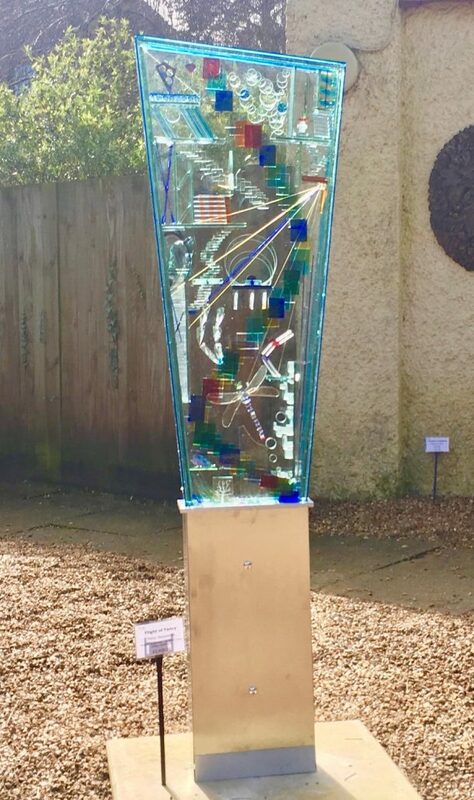 Besides all the various animals there were many strong figurative and abstract works to inspire and Peter Newsome’s beautifully crafted blue bonded glass sculpture Flight of Fancy stood out in the small courtyard garden. 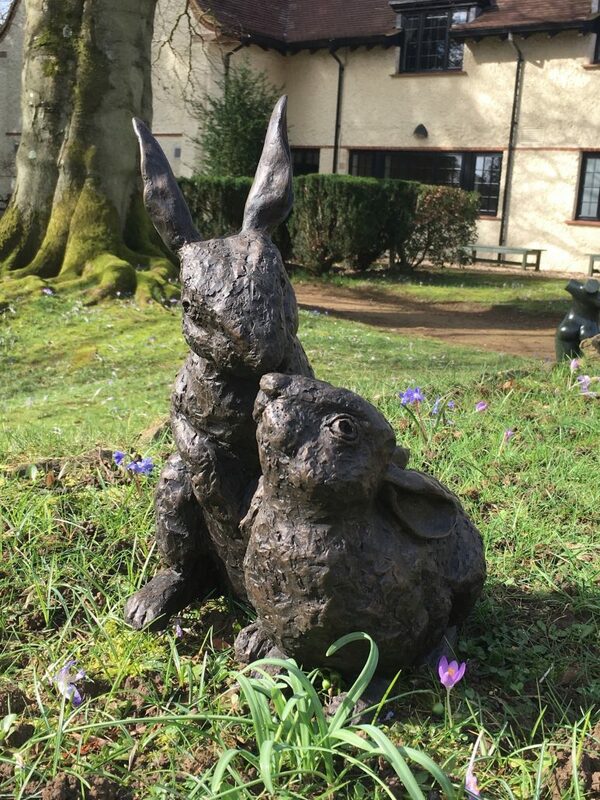 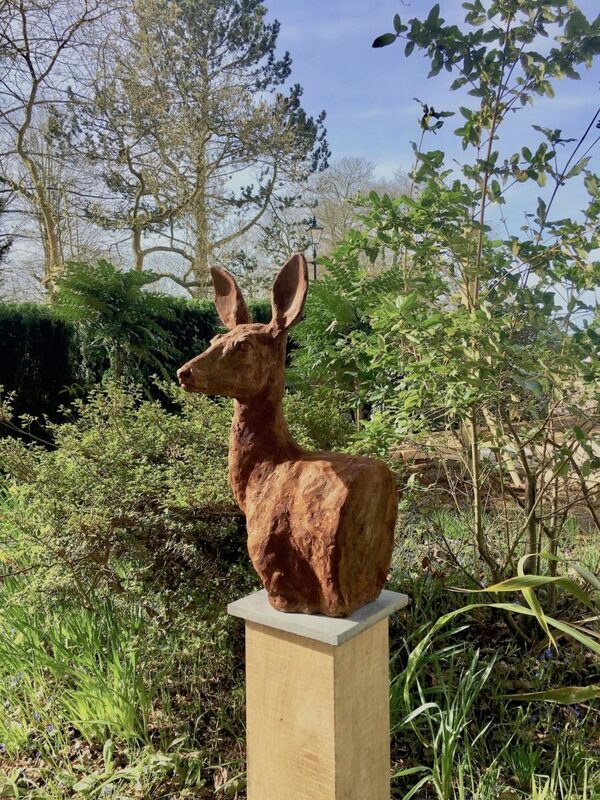 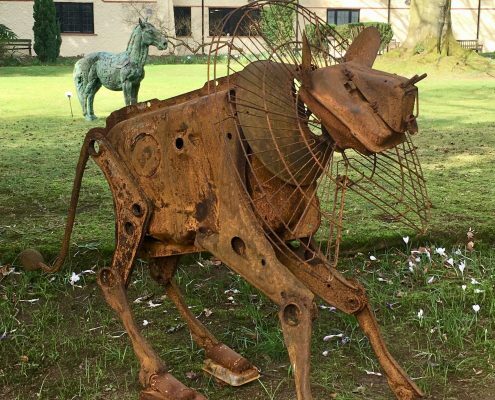 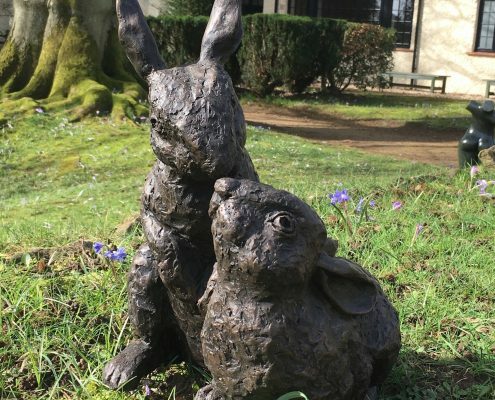 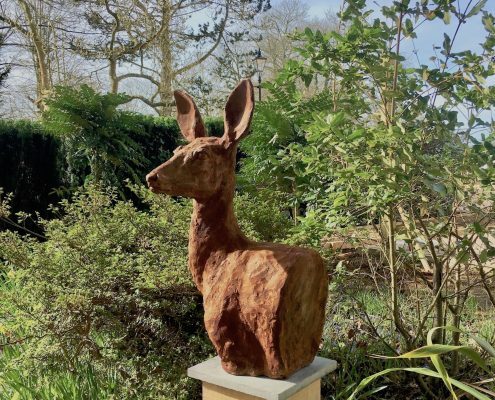 Appart’s Sculpture Trail is always set up in advance of the main public exhibition so that pupils from Prior’s Field and other local schools can visit and see the art during their term time. 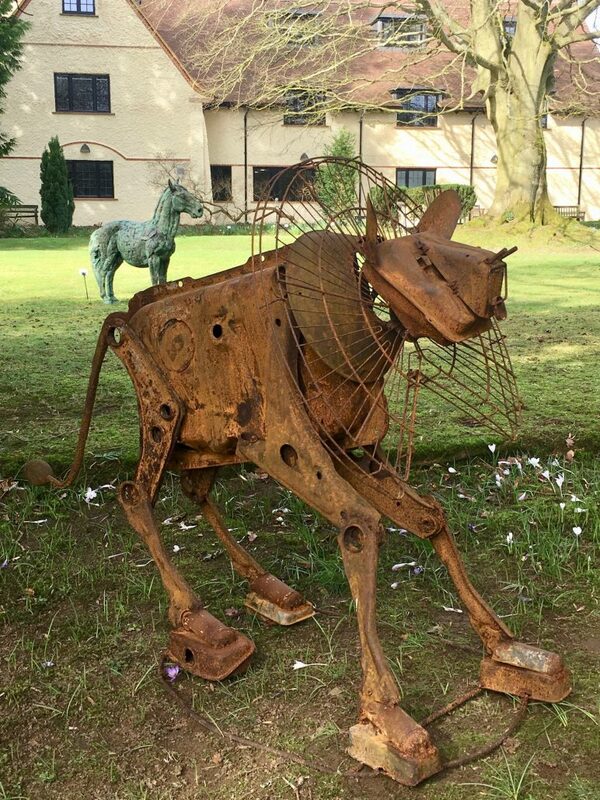 They come and draw, photograph the sculptures and can complete questionnaires that have been created for them. 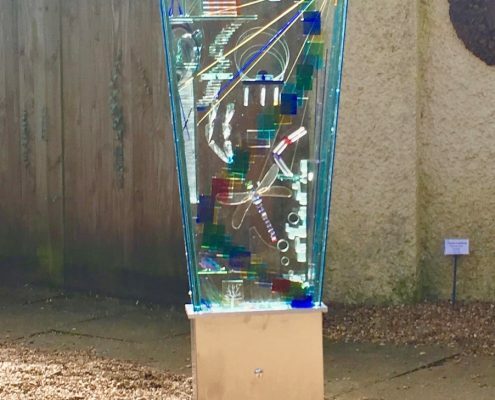 We hope that this will inspire them to exhibit their own art in the years to come.